NORTH WILDWOOD, N.J. (WPVI) -- Crews in North Wildwood, New Jersey worked to free dolphins that got stuck on the beach and a sandbar. It happened near the 15th Street Beach. A police officer driving by spotted the dolphins near the 15th Street Beach Monday. Two dolphins that became stuck in a sandbar were able to free themselves when the tide came in. 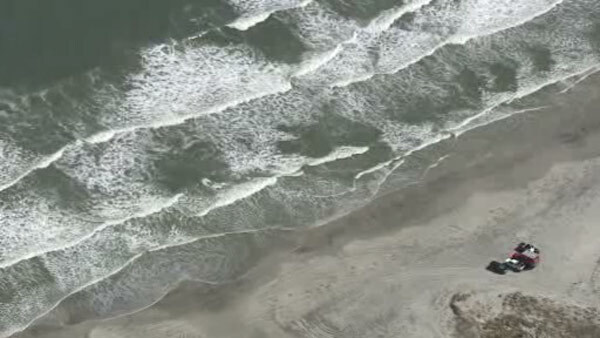 The North Wildwood Fire Department helped returned the other stranded dolphin from the beach. All the dolphins are now back in the ocean and are said to be OK.